The Toronto Real Estate Board released results for October 2018, reporting tightening conditions in the GTA with sales up and new listings down. Housing sales across the GTA rose last month compared to a year ago. Prices also rose, helped by strong sales in the condo market. The overall average selling price for all housing types in the GTA was $807,340, up 3.5% year over year. Condos were the housing type that experienced the greatest price growth with a 7.5% increase. A total of 7,492 sales of all housing types were reported throughout the MLS system in October, which is 6% higher than the same month last year. Condos further drove the October market in unit sales, where 1,519 condo units were sold in the 416 area in October, a result that was greater than the total number of units sold of all other housing types combined in the 416. It was a very different story in the 905 regions of the GTA where combined sales of 3,771 detached, semi-detached and townhome units in the month outpaced condo units sold by over 6 to 1. “Annual sales growth has outstripped annual growth in new listings for the last five months, underpinning the fact that listings supply remains an issue in the Greater Toronto Area” noted TREB’s Director of Market Analysis, Jason Mercer, and as seen in the graphic below. If you would like to find out what these statistics mean to you, or if you are curious to know how much your property is worth today or how much you can afford to buy, please reach out. If you found this article helpful please hit "Like" and "Share". The rate of increase in Toronto home prices continues to outpace that of the 905 regions, particularly in the higher density home types. The price of a detached home in Toronto was roughly 50% higher than in the suburbs on average in September. Two years ago the price of a detached home in the City was approximately 40% higher than one in the suburbs. Compare that with condo prices in the City, which two years ago were about 20% more expensive than in the suburbs, but in September, 2018 are now almost 35% more expensive, as seen in the chart below. The average price of the 6,455 homes sold in the GTA in September was $796,786, 2.9% higher than the average of $774,489 a year earlier when 6,334 units were sold in the GTA. The more affordable home types including condominiums, townhouses and semi-detached homes all saw strong price growth in September, compared to the prior year. In contrast, the average price of a detached home in the GTA was relatively flat compared to 2017. 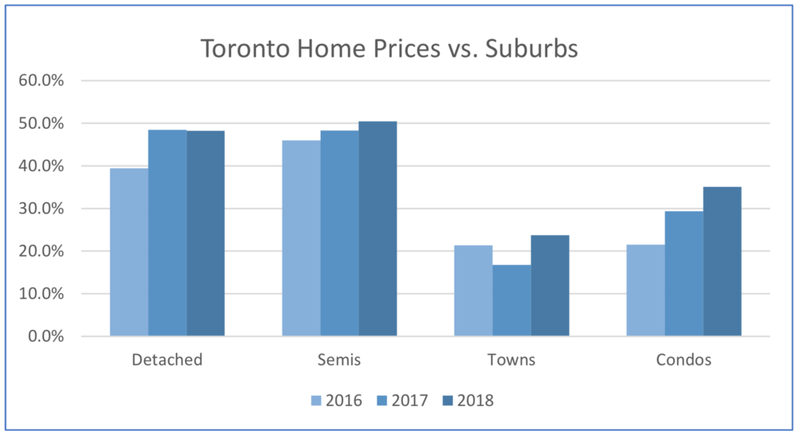 The average price of a detached home in the City of Toronto, where approximately 23% of total GTA detached home sales occurred, was down by 1.4%, compared to the suburbs, where the average price was 0.6% less than a year earlier. The average selling price for a detached home in Toronto in September was $1,342,363, compared to the average suburban selling price of $905,722. In the City of Toronto, where slightly more than 70% of total GTA condominium sales occurred in September, the Toronto Real Estate Board (TREB) reported 1,282 condominium unit sales. The average price of a condominium in Toronto rose by 11.7% in September year-over-year, almost twice the rate of increase in the price of the average condominium in the 905 regions, where prices rose by 6.4%. The average selling price for condominium in Toronto in September was $615,582, compared to the average suburban selling price of $455,686. This final chart shows how Toronto has continued to dominate the share of the total GTA condominium sales in September for the past three years. Now more millennials and Gen Z (those born between the early 1980s and early 2000s) are entering the housing market. For them, a condo lifestyle is both preferred and affordable. Condos also remain in high demand among retiring boomers, particularly those who are downsizing and wish to remain in an urban setting in a large metropolitan City such as Toronto. Greater Toronto Area housing sales of 6,939 units increased by 8.5% in August, 2018, compared to August, 2017 when 6,306 unit sales were recorded. The average price of a home in the GTA also rose by 4.7% year over year and now stands at $765,270, compared to $730,969 in August 2017. Month-over-month sales and price growth also continued in August and the annual rate of sales growth outpaced the annual rate of new listings growth. Detached home sales were up by over 16% on a year-over-year basis in August, substantially more than the 1.6% increase in the other less-expensive semi-detached, townhome and condominium segments of the market. The 905 Regions surrounding the City fuelled most of this growth in detached unit sales, particularly in the Peel and York Regions, which recorded increases in detached unit sales of 32.6%, and 25.7%, respectively, as seen in the chart below. In the City of Toronto (416) detached unit sales increased by 10.3%. Conversely, the City of Toronto is where average sales prices increased the most, at 8.1% year-over-year. Prices also rose by 7.6% in Peel Region, while other areas of the GTA mostly experienced a percentage decrease in average selling prices. There is now only slightly more than 2 ½ months inventory in the GTA as a whole and less than 2 months of inventory in the City of Toronto. Many GTA neighbourhoods continue to suffer from a lack of inventory, although this is more pronounced in the City of Toronto. York Region (north of the City) continues to have the largest supply of homes available for sale at 4.3 months supply, while in Halton, Peel and Durham (the regions northwest, west and east of the City, respectively), inventories are only slightly higher than in the City, at 2.3 to 2.4 months supply. Ownership of a home remains a solid long-term investment in the GTA, a region where the economy remains strong and the population continues to grow. Year-over-year resale home prices and sales rose for a second consecutive month in July, signalling that the Toronto area real estate market is in recovery mode. Average selling prices climbed 4.8% to $782,129 last month, up from $745,971 in the same period last year and the number of homes sold rose 18.6% to 6,961 units, compared to 5,869 homes sold in July, 2017. Condominiums continued to outperform low rise housing such as detached, semi-detached and townhomes. On average last month condo prices rose 8.9% across the GTA to $546,984. What is interesting to note, however, is that even though roughly 70% of the condos sold last month were in the City of Toronto (416), the rate of price appreciation has been shifting in favor of the suburban markets (905), where prices were up by 10.3% in July, compared to 9.2% for the City of Toronto. This is a dramatic shift from the month of June, when condominium prices in Toronto rose by more than 9% while the suburban markets only posted price appreciation of less than 4%. A condominium in Toronto cost $582,547 on average, compared to $461,255 in the surrounding regions. Year-over-year prices for detached homes, rose by 0.5% on average in July to $1,004,647, but the scarcity of detached homes listed for sale in Toronto helped boost prices by 3.6% inside the City, while prices remained flat in the surrounding 905 communities where roughly 3/4 of all the detached home sales were recorded. A detached house in Toronto cost $1,350,700 on average, compared to $907,347 in the surrounding regions. Months of inventory across all home types in the GTA stood at roughly 2.8 months supply in July compared to 2.4 months supply a year earlier, but the numbers look very different when viewed by housing type and location. As seen in the chart below, months of inventory of detached homes are roughly double that of any other housing type, and this is even more pronounced when one compares Toronto to the surrounding regions where inventories across all housing types are generally about one month higher than in the City. IT’S WAY MORE THAN JUST PUTTING A SIGN ON YOUR LAWN! Is this the year you are planning to move? Every home owner arrives at this point sooner or later. It’s a big decision involving a major financial transaction so, when the time comes, you want to do it right. If you, or anyone you know, is planning a move, here’s a 15-step action plan that can make the process easier and less stressful. How to get your home sold fast, at a premium price? For most people buying a home is the single biggest investment they’ll ever make. When viewed as an investment, your home offers a major advantage over stocks, bonds, and mutual funds. The profits you make on all of these investments are subject to capital gains taxes. That’s not the case when selling your home. Any profits you make from selling your principal residence are tax-free. So, when you decide to sell, it’s worth making an extra effort to capitalize on this special opportunity to make a sizable tax-free profit. Because profits from the sale of your home are tax free, it makes good sense to invest in upgrades before selling. In many cases you can get a 100% plus return – over just a few weeks or months – on the funds you invest to upgrade, or renovate your home, prior to selling. Without a doubt, it is up to you to source the best representation for yourself. Today consumers get most of their information through their mobile phone, PC or a tablet. Be sure your real estate sales person/broker has a strong online presence, and utilizes state-of-the-art digital marketing tools including email, Facebook and Instagram. Tips on How to Improve your property value here. 92% of homebuyers start the house hunting process online. What your agent posts online to describe your home is vitally important. If the agent’s description isn’t compelling, most house hunters won’t take the trouble to visit the property. Lots of quality pictures are important too. Make sure your agent uses a professional high-end photographer that knows how to capture the best features of your home. A great description and stunning pictures will make your home stand out in crowd and drive buyer traffic. Like everything else real estate markets are cyclical. Prices may vary by 5% or more between the peak and lowest periods over any given year. A good Realtor can help you determine the best time to list your home. When a home is priced too high, it may remain unsold for a period that’s more than other properties in the same neighborhood. This will cause prospective buyers to think there’s something wrong, further dampening demand for the property. When pricing your home it’s important to follow your agent’s advice. A good agent will know the pricing strategy to get you the best deal. First impressions are important when selling a home. If the exterior of your home looks shabby or run down, prospective buyers are turned off before they go through the front door. Before putting it on the market, be sure to spruce up your home’s exterior. Cut the grass, be sure the garden is weed free, and edged so it looks cared for. Repaint trim around the windows and the front door. Make sure the curb appeal suggests a cared for and well maintained home. Tip: If you are planning to sell in the winter be sure to take some summer photos of the gardens, front and back yards. This can involve renting furniture or classy art to hang on the walls of your home, placing fresh flowers in the living room and kitchen, and re- arranging furniture. Many agents offer free interior staging as part of their service. It’s usually best to outsource your home’s staging to a professional who knows the how to present a home to look its best. Relatively simple upgrades can add tens of thousands to the price your home goes for. Here are examples of upgrades that can give you a high return on investment: upgrade lighting, a new coat of paint, replace shabby or scarred countertops in the kitchen and bathroom with marble or granite, replace outmoded appliances such as refrigerators, ranges or microwave ovens. Your real estate agent can suggest upgrades that are right for your specific home and neighbourhood. These include: holding back offers, multiple offers situations, special conditions in offers, legal terms and clauses, offer sign-backs, and irrevocable dates. Your agent can guide you through all of the important terminology and critical dates during the house selling and offer review process. Be sure your agent has a copy too. Take viewers on a room-by-room tour, showcasing the home’s best features. Don’t forget to include the garden, patio and other outdoor features. Rave about the neighbourhood and neighbours; give details about nearby restaurants, shops, schools, libraries, sports facilities, parks etc. Reminisce about great times you’ve enjoyed in the home. Let viewers know this has been a happy place, and it will be missed when you’ve moved on. This is especially important if you live in an older neighborhood where some of the homes may have asbestos insulation, termites, out of date pipes and wiring, etc. By having a qualified home inspector certify your home is free of these threats you can avoid having a prospective buyer commission their own inspection that may reveal issues you are not aware of. This will also speed up the selling process, as prospective buyers will not have to take the time to arrange their own inspection. Some buyers will covet your big screen TV, a sound system, new appliances etc. These items can be great bargaining chips when negotiating a price with prospective buyers. This is vitally important. Even if it’s sometimes inconvenient, be prepared to make your home available for prospective buyers. No one will buy without having gone through your home. If yours is unavailable when a prospective buyer wants to see it, they may buy the next home they visit. Stash away your tchotchkes old magazines, children’s toys, hobby paraphernalia etc. Keep countertops and furniture free of clutter. Buyers are drawn to clean spaces and shiny surfaces so make sure all of the dust bunnies have been swept up and all rooms are clean and dust-free. Use furniture polish on tables and wood furniture before each home viewing. This will ensure your home looks well maintained, and the smell of wood polish will not go unnoticed. These includes religious items, odd collections such as shrivelled heads, skulls, animal head mounted on the wall, or posters with messages that could be considered offensive. You want prospective buyers to envision your old house as “their new home”. Let them see there is space for their family pictures. It’s also important to keep your medications and over the counter healthcare products tucked away in your medicine cabinet or a bedside table. You don’t want prospective buys envision your home as a place of sickness. In addition you may read more about the Selling Process here. I offer complimentary home evaluations. Please do not feel obliged to list and sell with me when you request your current home evaluation. I am always happy to help, and when you are ready, I will be available to provide you with my full real estate experience. YOU DESERVE TRULY OUTSTANDING SERVICE! In May, we saw a continuation of the steady price growth experienced in the Greater Toronto Area (GTA) housing market during the 4 previous months. So far, in the first 5 months of 2018, average home prices in the GTA have increased by 9.6%, to $805,320. Unit sales have also increased each month in 2018 - from 4,019 units in January, to 7,834 units in May. As I mentioned in last month’s blog, the housing market conditions in 2018 are very different than the conditions experienced during the comparative period in 2017. But beginning in May, and through the second half of 2018, the comparisons will become more meaningful, as May, 2017 was the first month last year when the impact of the foreign buyers tax began to effect a slowdown in the rate of price growth and market activity, following the frenzy in the months prior when prices were bid up to unreasonable levels due to short supply and speculation. So for the first time, we have the impact of the foreign buyers tax in both monthly results year-over-year, which makes a May to May comparison a little more relevant. It is interesting to note, therefore, that new listings were down by more than sales this May compared to last year, (26.2% versus 22.2%), meaning that competition heated up among buyers. And there are indications from sellers that listing intentions are down significantly since the Fall, meaning the supply of homes available for sale could continue to be an issue in the latter half of 2018. And when the supply of homes decreases, prices increase, as competition among buyers intensifies. Finally, these last two charts highlight the composition of the May sales by home type in each of the 416 and 905 sub markets. In the 416 region, condominiums accounted for a commanding 57% of unit sales and detached homes made up 25%, while in the 905 region it was detached homes that accounted for the majority of unit sales, at 55% of the total. What these charts clearly indicate is that condominiums are the dominant force driving unit sales in the 416 region and are in high demand compared to higher priced detached homes, while the opposite is true in the 905 region where the inventory of detached homes tends to be more prevalent and buyers have more choice, which means these homes take longer on average to sell. Let's take a look at turning your single-family home into a two-family, income generating property. This strategy can be an attractive alternative for empty-nesters and retirees who’d prefer not to move – and who’d be happy to generate some extra income. At some point, usually after the children have moved out, many home owners decide to downsize. Today, that usually means moving into a condo or to a smaller community. But many couples would prefer to stay in the family home, continuing to enjoy the neighbourhood they know so well. Here’s an alternative for anyone considering their options in such a situation. Why not re-configure your home into a two-family, income-generating property? This strategy has a number of advantages. You can avoid many of stressors involved in adapting to a new neighbourhood, new neighbours, and unfamiliar amenities and services. You end up with less home to manage. You can generate important extra income to help fund your retirement years and lifestyle enhancements. You may significantly increase your property’s value when it’s reclassified as an income property. Living through the renovation process, likely four months to a year. During this period, you might have to find a temporary residence. 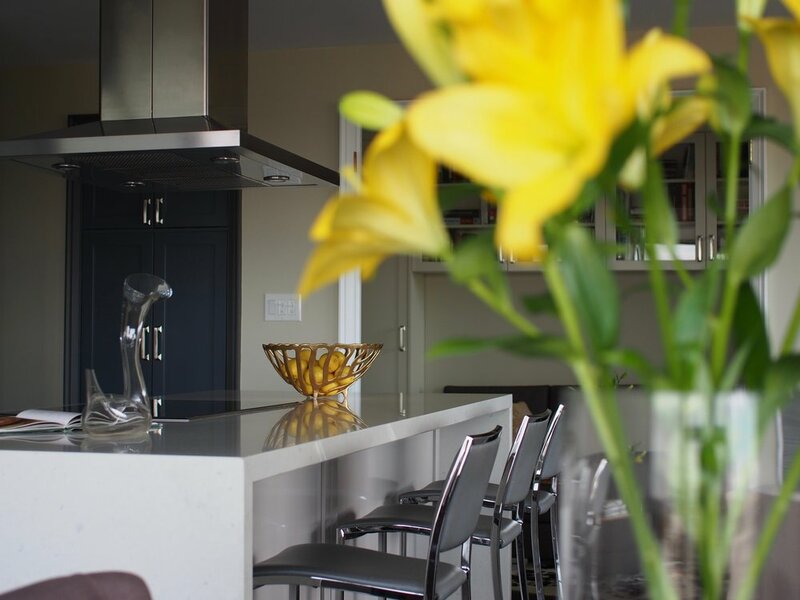 Managing the renovation process to be sure it meets your expectations and stays within budget. Living alongside tenants who may not share your lifestyle. Assuming the role of “property manager” – this means, at a minimum, dealing with occupancy, rent collection and maintenance issues. Should you decide to re-configure your home to generate an income, here’s an ACTION PLAN to get the process underway. First, you’ll need to check out zoning issues. Is your area zoned for the living arrangement you’re hoping to create? Do you need to apply for rezoning or get a zoning restriction waiver? Requirements vary from region to region, although there are some basics that will apply almost anywhere – each residence will need at least one exit of its own, plus bedroom, bathroom and kitchen area, and perhaps separate utilities and meters. Other safety standards, such as fire codes, might change once you turn the space into a two-family dwelling – such information is available from your local building planning department. You’ll need to consider what kind of people you want to occupy the new space – a family, students, another retired couple? This will affect the number of rooms and their sizes, the design of kitchen and bathroom spaces, and other considerations. If you need or want to make big changes, consult with a structural engineer. This is the time to think about major issues like the building’s envelope, and to fix any deficiencies or reconfigure the roof, walls, windows or doors. Contact a real estate agent you trust to determine the rental income you can expect to earn, taking into consideration periods when the unit is vacant. As part of this analysis, find out how this revenue will be taxed, and what portion can be offset as expenses when you file. You may need to take out a home improvement loan, a business loan, or even a second mortgage. Prospective lenders will need to factor in a number of elements: the use of second unit, your credit rating, etc. Ask your real estate agent to provide you with a home valuation before beginning. To be sure your re-configured property is in compliance with local zoning, building codes and safety regulations, retain an architect with local knowledge and expertise in handling this type of project. Be sure to get at least two or preferably three quotes. Be sure the company is experienced in this kind of project. Get at least three quotes. Have the company you select meet with the architect to work out potential issues before the construction process begins. Have qualified back-up in place to help keep the project on track. It’s always a good idea to have someone who cares for you to act as your back-up or to offer support as you go through the renovation process. Maybe one of your grown children, or a close friend. Should you wish to explore this alternative to downsizing, I’d be pleased to help you assess this opportunity in respect to your specific home. April Market Report | Which Headline Tells the True Story? Average Selling Price for Homes in the GTA down 12.4% in April Year-Over-Year? Well, both are true actually. But which one is more relevant? I believe the first headline is more relevant, because it tells us what is happening in the current real estate market. We already know that the GTA real estate market reset from its historical highs (in April, 2017 the GTA recorded the highest ever average selling price) after the introduction last year of the foreign buyers tax in Q2, followed by the more restrictive mortgage qualification rules introduced at the beginning of 2018. Add to those measures the 2 successive increases in interest rates by the Bank of Canada and the market cooled down considerably. Unit Sales and Active Listings have increased in each month. Average selling price is up 9.2% in four months. Days on the Market have gone down by more than a third, and Average Selling Price to List Price is stable. These are all signs of a healthy real estate market. There is roughly a 3 month supply of detached homes for sale in the GTA, whereas there is only a 1 ½ month supply of condominium units for sale. As well, the increase in Average Selling Price for Condominiums, at 10.2% for the first four months of 2018, is outpacing the rate of increase for Detached homes, at 6.1%, as there is obvious pressure at the lower end with Condominiums in short supply. TREB expects that “once we are past the current policy-based volatility, home owners should expect to see the resumption of a moderate and sustained pace of price growth in line with a strong local economy and steady population growth”. Now look at this chart, which shows those two “starkly different periods of time”. What the chart shows is the huge run up in prices in the first half of 2017, followed by a reality check, as prices declined rapidly in Q3, after the introduction of government measures to cool the market. Prices rebounded somewhat in Q4, as some buyers and sellers accelerated their property ownership decisions prior to the introduction of the more stringent lending guidelines which came into effect in January, 2018. And now, we are back to some period of relative normalcy, with modest price appreciation in Q1-2018. So it doesn’t really matter that units sales were down by almost 40%, from 11,954 units in March, 2017 to 7,228 units in March, 2018, or that prices were down on average by 14.3%, from $915,126 to $784,558 because these results cover two starkly different periods of time, and are, therefore, not comparable. What is meaningful, however, is that the number of active listings in March, 2018 was 103% higher than the level in March, 2017 and that the average time it took to sell a home in March, 2018, at 20 days, was roughly the same amount of time it took back before the market went crazy in Q1-2017, when the average time it took to sell a home in the GTA was below 10 days. And the average selling price has actually increased in each of the last 3 months. I’ve said it before and it bears repeating that we are in a balanced market, one which TREB believes is poised for stronger growth later in 2018, particularly in the condominium market where prices have been steadily on the rise and inventories have become ever more scarce. 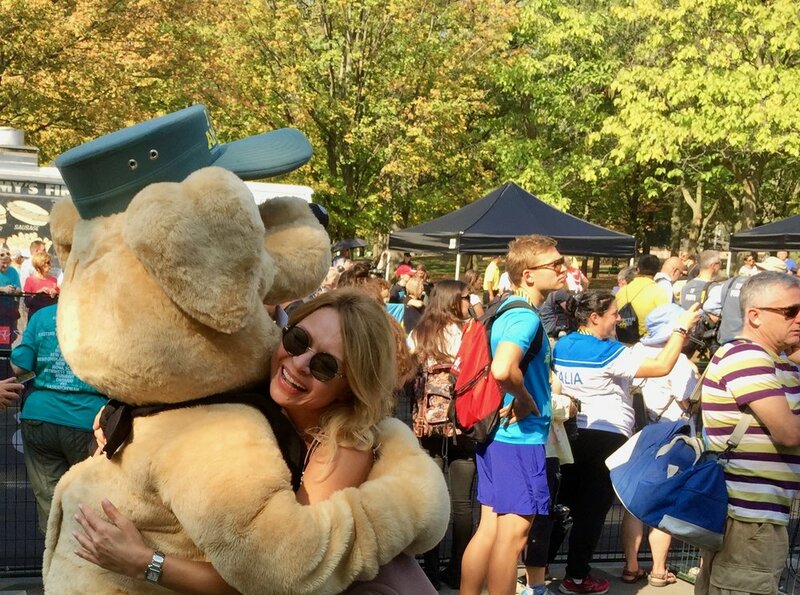 Are buyers rushing to avoid the stress? It appears that home buying activity in the GTA is ramping up for a strong December if the November results are any indication. The Toronto Real Estate Board reported 7,374 transactions through TREB’s MLS system in November, bucking the regular seasonal trend which usually sees transactions slow in the last couple of months of the year. It’s possible that the changes to mortgage lending guidelines, which come into effect in January (the “stress test”), have prompted some households to speed up their home buying decisions before their home choices become more limited as affordability will drop when the new rules are applied. TREB reported that there were 18,197 active listings across the Greater Toronto Area (“GTA”) in the month of November, an increase of over 110% compared to the same month in 2016 and inventory remained stable at roughly 2 ½ month’s supply. What is more interesting, however, is what happened on a micro level. In the City of Toronto, for instance, there were 2,978 reported transactions, representing 40% of the GTA total, but with only 5,430 active listings, available inventory was much lower than the GTA average, at 1.8 months. Another interesting statistic is that detached homes represented almost 60% of the active listings in November, meaning that there is a much greater supply at the higher end of the price range, where inventory stood at almost 3 ½ month’s supply, or an additional 1 month above the GTA average. Demand continued to be strongest at the lower end where inventories of the more affordable home types were 1.8 months for semi-detached homes, and 1.6 months for condominiums. The average selling price in the month of November for all homes types combined was $761,757 - down by 2 per cent compared to the month of November, 2016, due in part to a smaller share of detached home sales versus last year. On a year to date basis, however, the average selling price was up by 13.4 per cent compared to the same period last year, with high density home types (i.e. condo townhouses and apartments) leading the way in terms of price growth. My predictions? Look for a more active than usual December month as buyers continue to speed up their home buying decisions to “avoid the stress” that will be caused by the new mortgage lending qualification rules and the likelihood of further interest rate hikes in 2018. The first 90 days of 2018 will probably lead to a slowdown in transactions as buyers navigate the new regulatory landscape and inventories will likely edge up to slightly more than 3 month’s supply on average for the next few months. Wishing you happiness, good health and prosperity in the New Year! There were a total of 7,118 residential sales reported through TREB’s MLS system in October, compared to 9,715 transactions a year ago. Even though the number of transactions was down by 26.7% year-over-year, the jump of almost 12% in residential sales reported between the months of September and October in 2017 was more pronounced than usual compared to the last 10 years, a clear signal that market momentum is picking up. Active listings were 78.5% higher than a year ago, an indication that supply and demand are continuing to balance out as inventories settled at 2.6 months of supply in October, down marginally from the 3.0 months of supply in September, but still much healthier than the scant 1.1 months of supply experienced in October, 2016. There is, however, a continuing lack of quality listings in core GTA neighbourhoods and there are early indications that offer dates are reappearing as homes are being underpriced to generate bidding wars, although this has yet to manifest in the overall selling price to list price ratio which is currently holding at 98%. While the average selling price for October transactions was $780,104 – up by 2.3% compared to the average of $762,691 in October 2016 - the continuing low supply of, and high demand for, condominiums fuelled a 21.8% increase in prices in that segment of the market. Expectations are that market activity will pick up further in the next 6-8 weeks as buyers rush to obtain mortgage pre-approvals and submit offers before the new stress tests announced by OSFI last month are implemented at the beginning of 2018, further reducing buying power as the pre-qualification hurdle rate increases to the higher of the 5-year benchmark rate published by the Bank of Canada or your negotiated contract borrowing rate + 2%. Do you remember the story of Goldilocks and the Three Bears? When Goldilocks arrived at the bears’ house in the forest there were three bowls of porridge on the table and she was hungry. The first bowl of porridge she tried was “too hot”, the next one was “too cold”, but the third one was “just right”. Well, this just might be a “Goldilocks” moment in the GTA housing market! Last month I spoke about how the Greater Toronto Area Real Estate Market is beginning to change shape and return to balance. Well, the evidence is in, as the number of new listings entered into The Toronto Real Estate Board’s MLS® System amounted to 16,469 in September – up by 9.4 per cent year-over-year. But the real story is that total active listings stood at 19,021, a whopping 69% increase year-over-year. TREB suggests that the improvement in listings in September compared to a year earlier is a sign that home owners are anticipating an uptick in sales activity as we move through the fall, or put another way, more inventory is starting to attract more buyers back to the market. TREB announced that Greater Toronto Area REALTORS® reported 6,379 sales through TREB’s MLS® System in September, roughly the same amount as in August, but 35 per cent lower than September of last year. In a balanced market, buyers take longer to make up their minds, as there is more product available to choose from. Likewise, sellers need time to get adjusted to the new market reality. Remember, the last few years were anything but “ordinary”. Think of it this way. Last year at this time, inventory (the number of active listings on MLS®) stood at approximately one month of sales. So, on average, every home on the market was selling within a month or less, with multiple offers driving up the price paid due to the scarcity of supply. Now that inventory is closer to 3 months supply, what this means is that 1 out of every 3 houses on average is selling within the month, and price is no longer being dictated by the frenzy we saw when homes were in such short supply. So it makes sense to see that sales are about a third lower in September 2017 than they were in September of last year. All of this is happening against a backdrop where average prices are still increasing, albeit at a lower rate than we saw during the run up. The average selling price of a home in the GTA in September 2017 was $775,546 – up 2.6 per cent compared to September 2016. However, the exception continues to be the condominium apartment market segment, where average prices were up on average by 23 per cent compared to last year. TREB reported in September that “tighter market conditions for condominium apartments follows consumer polling results from the spring that pointed toward a shift to condos in terms of buyer intentions”. In fact, condos accounted for almost 30 per cent of all MLS home sales across the GTA during the month of September, whereas detached homes – the most expensive market segment on average - accounted for a smaller share of overall transactions this year compared to last. If you are curious to know how much your property is worth today, please feel free to reach out and if you found this article helpful please hit "Like" and "Share". 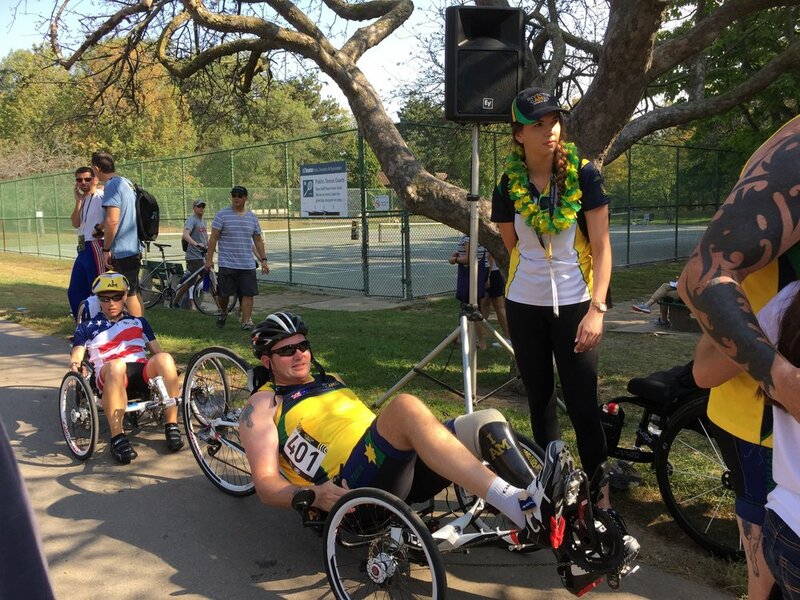 The word “Invictus” means “unconquered”. 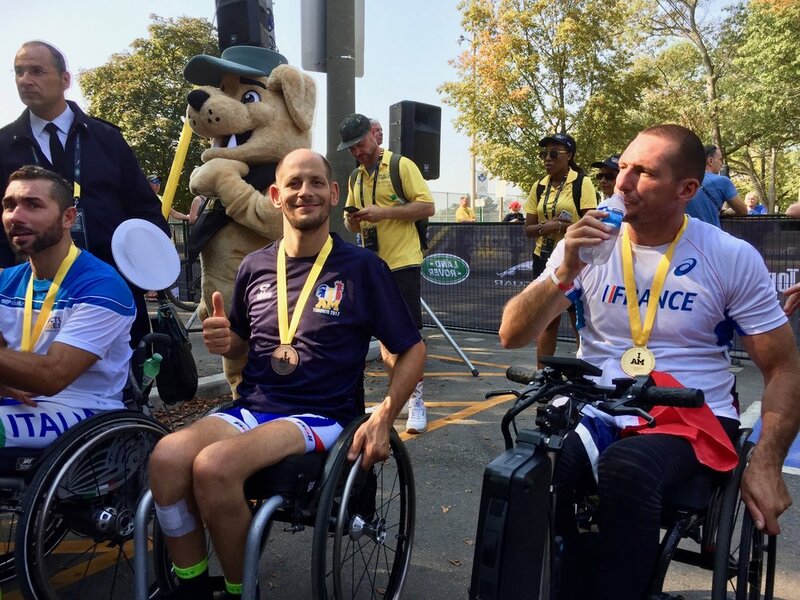 It embodies the fighting spirit of these “warriors” and what they can achieve through their tenacity post-injury. 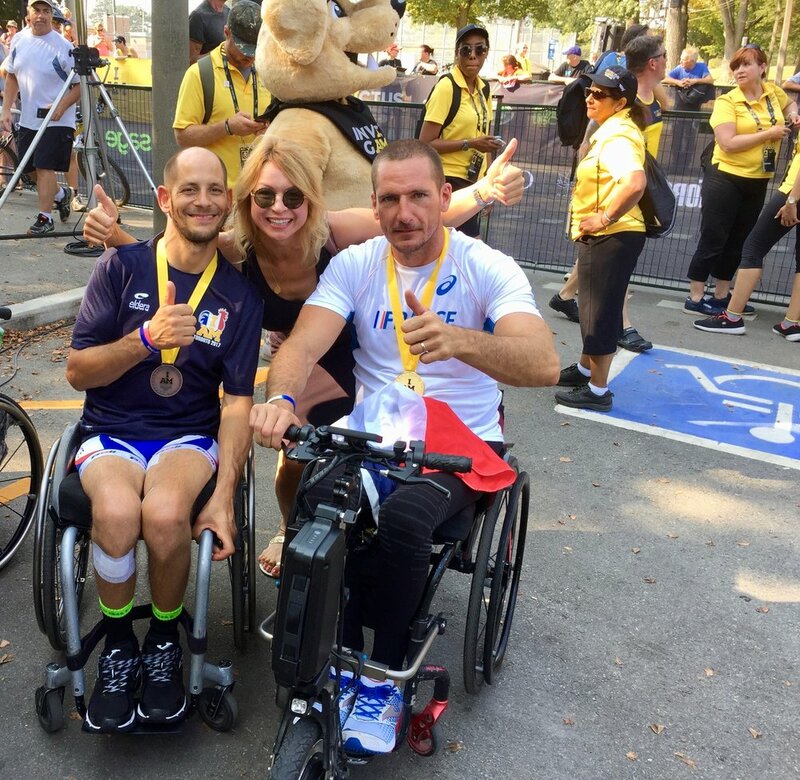 The Games are about much more than just sport. 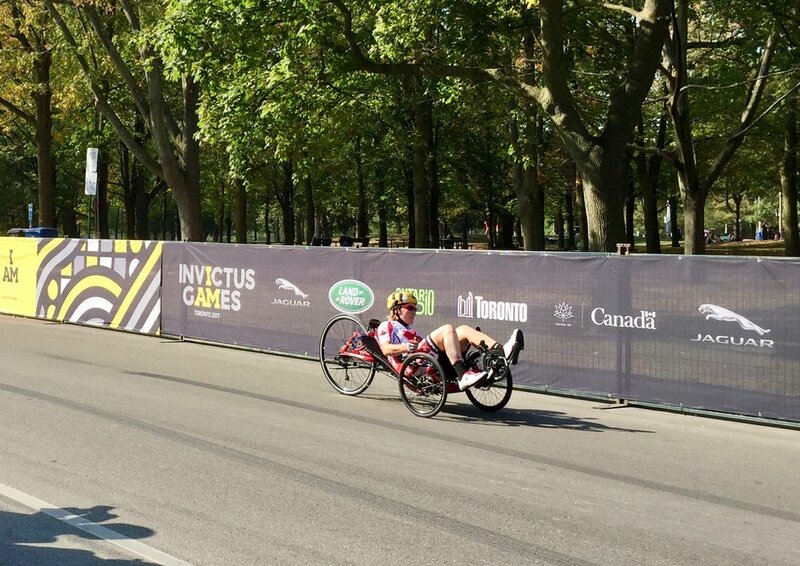 Invictus captures hearts, challenges minds and changes lives. The motto for the games is "I am". 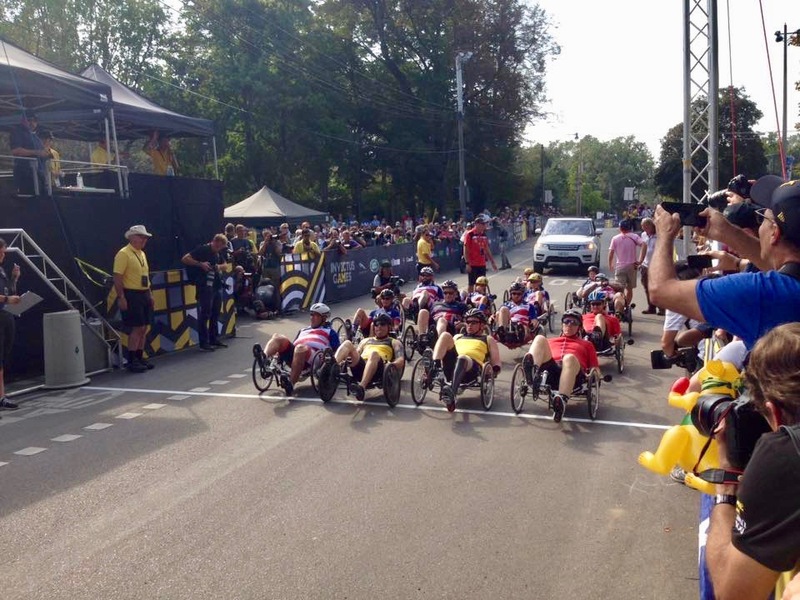 The Invictus Games are Prince Harry’s sporting event for the wounded, injured and sick servicemen and women. Perhaps you’ve seen His Royal Highness on the news this week. 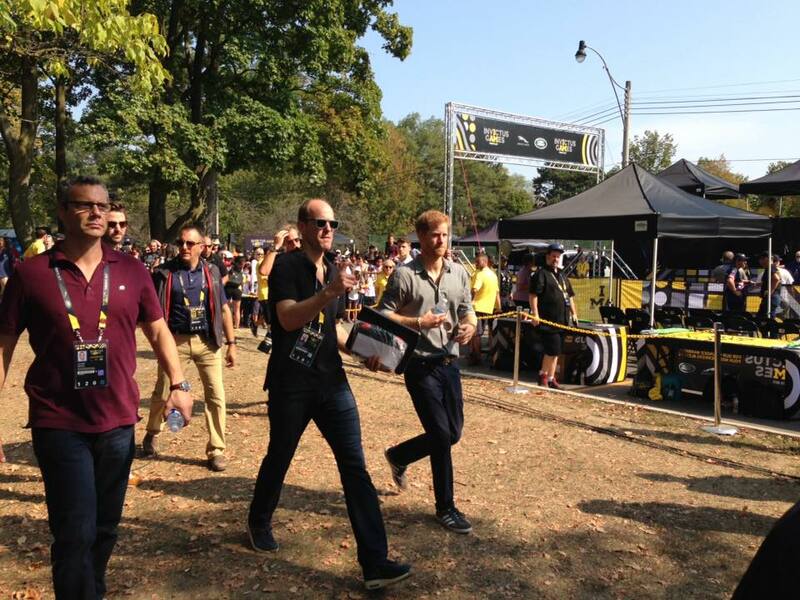 On Wednesday he was right in our own backyard - in High Park - to give out medals to the athletes! Once again, we are so fortunate to live in such a great city! If you have a chance this week get out there and cheer these courageous people on and join the movement, started by Prince Harry in 2014, to help generate a wider understanding and respect for those who have sacrificed so much to serve their country and their people. If you liked this post, please hit like and share. From the bottom of my heart, I want to thank you for your participation! I know you all lead busy lives but yet you took the time to make a difference and it means the world to me. Our goal this year was to raise $15,000 towards this worthy cause and we surpassed our expectations. As a Team, this year we raised $17,423 and the donations are still coming. 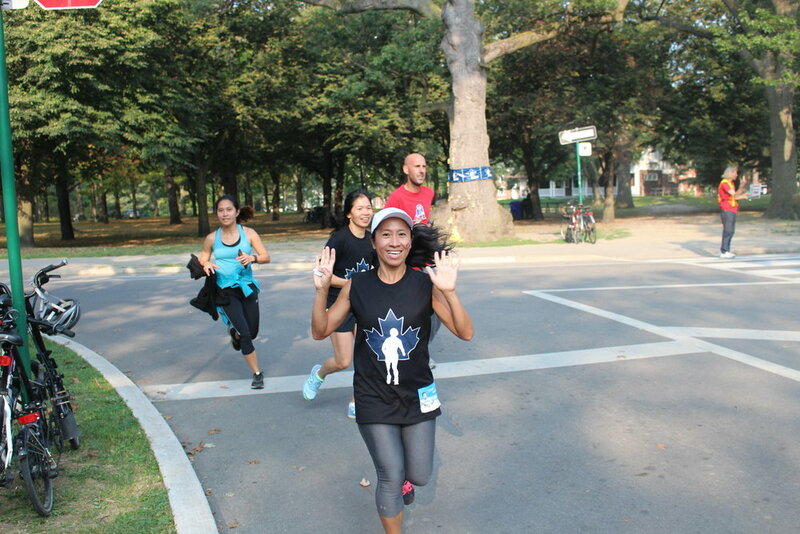 The High Park Run raised $109,130. 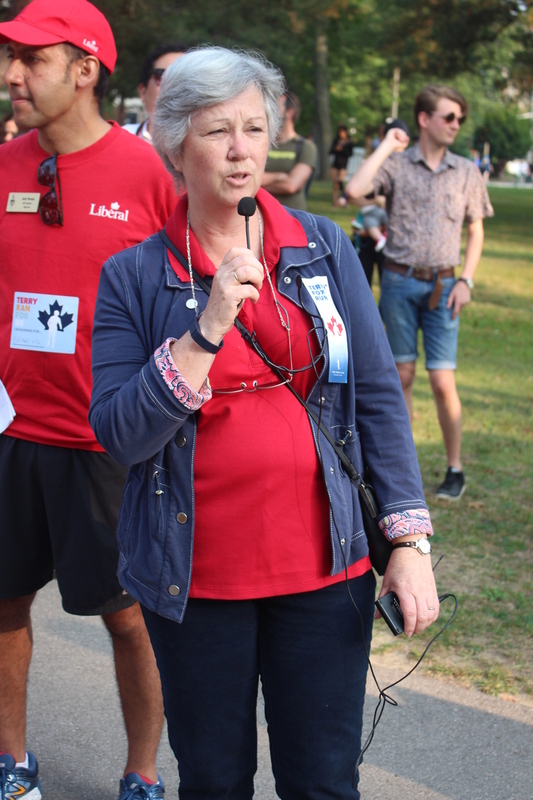 The Terry Fox Run as a whole raised $3,675,624 this year and counting..
To date LUBA BELEY TEAM raised $75,544. Thanks to your generosity, cancer research in Canada continues to forge discoveries that Terry could only have dreamed about. None of this would be possible without you. 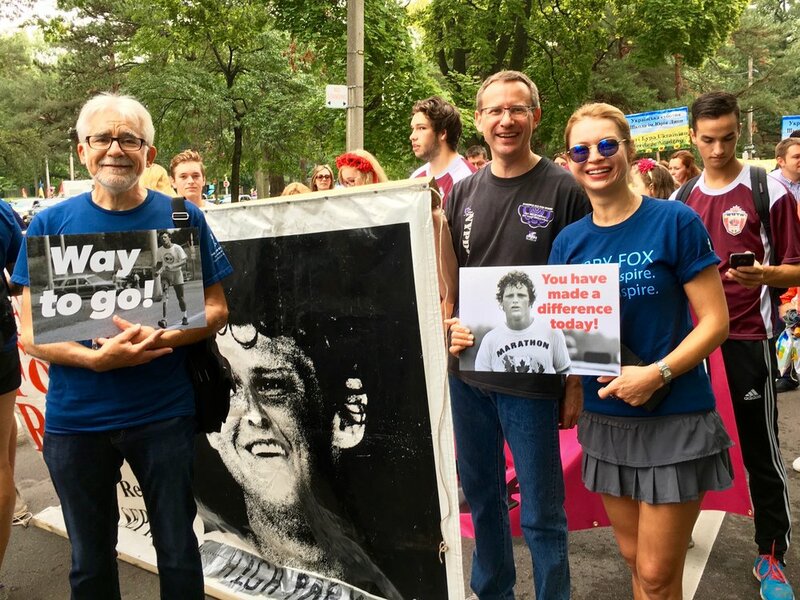 Terry Fox is truly my Canadian hero who so positively touched lives of so many people. 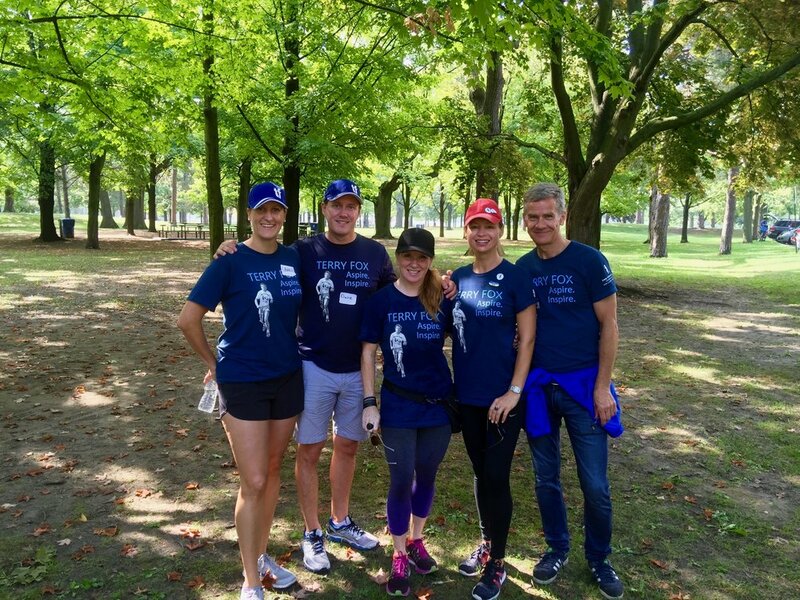 Terry was only 18 when doctors amputated his right leg 15 cm above the knee and not long after losing his leg to cancer, Fox decided to run across Canada to raise awareness and money for cancer research. 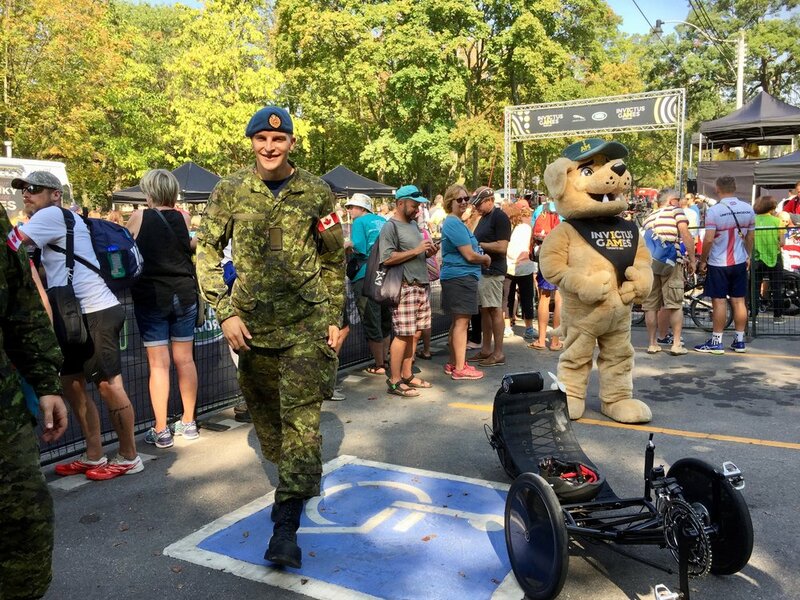 He ran from St. John’s, Newfoundland, to Thunder Bay, Ontario, covering 5,373 km in 143 days, but was forced to halt his Marathon of Hope when cancer invaded his lungs. He died shortly before his 23rd birthday. 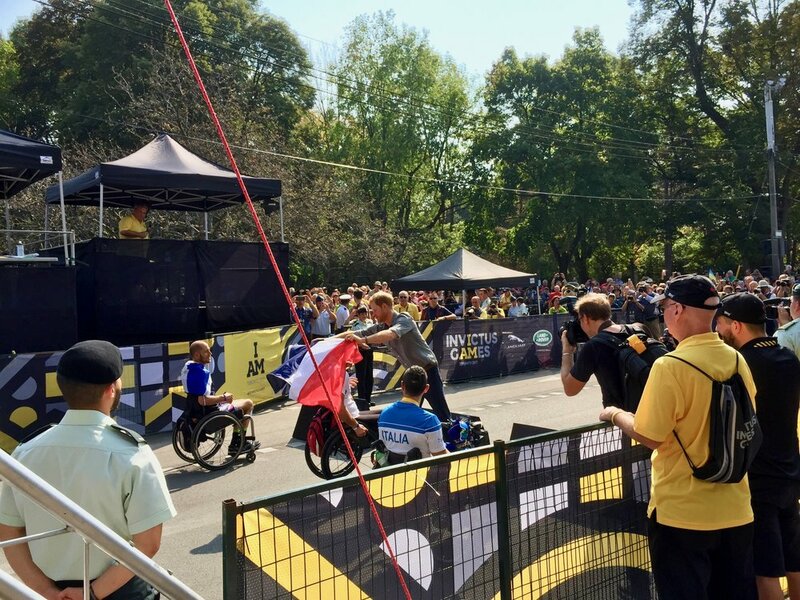 The courage and determination of this young man have inspired millions of people around the world and we are so proud and happy to keep embracing Terry's legacy. In 1981, Terry said, "Even if I don't finish, we need others to continue. It's got to keep going without me." Every day we are moving closer to his inspiring dream: a world free of cancer. 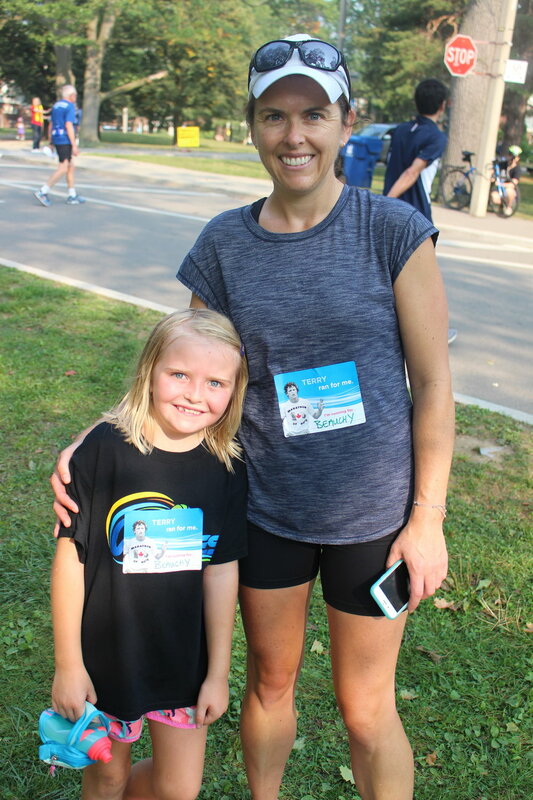 THANK YOU FOR YOUR DONATION & YOUR PARTICIPATION! 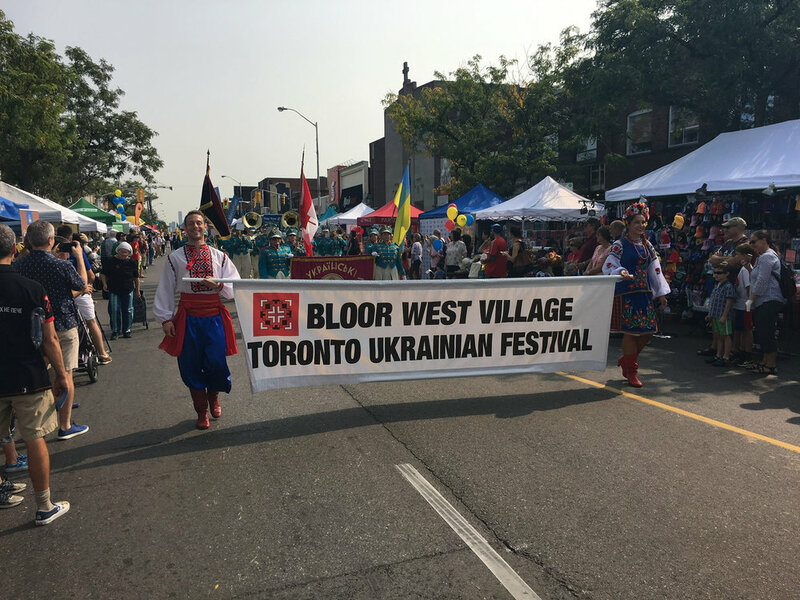 Did you know that Toronto Ukrainian Festival was celebrating its 21st year in the Bloor West Village this year? 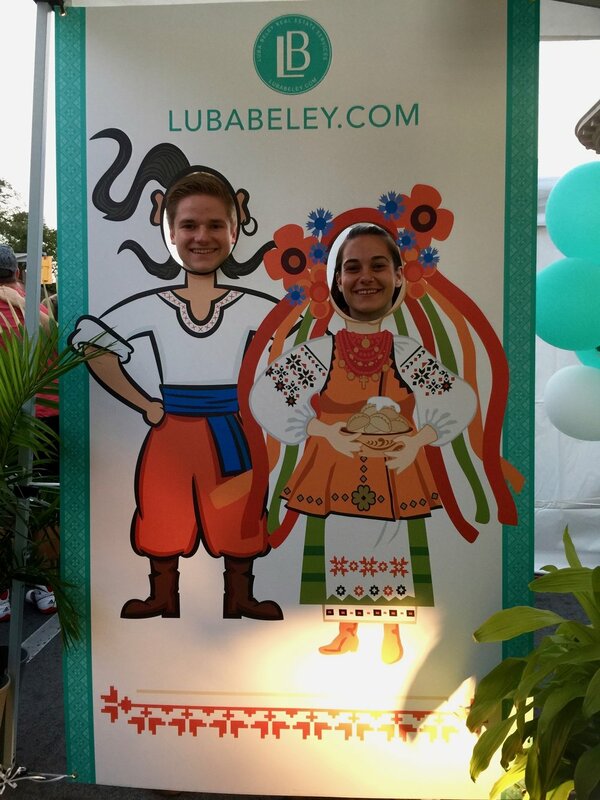 Today it is the largest Ukrainian Festival in North America. 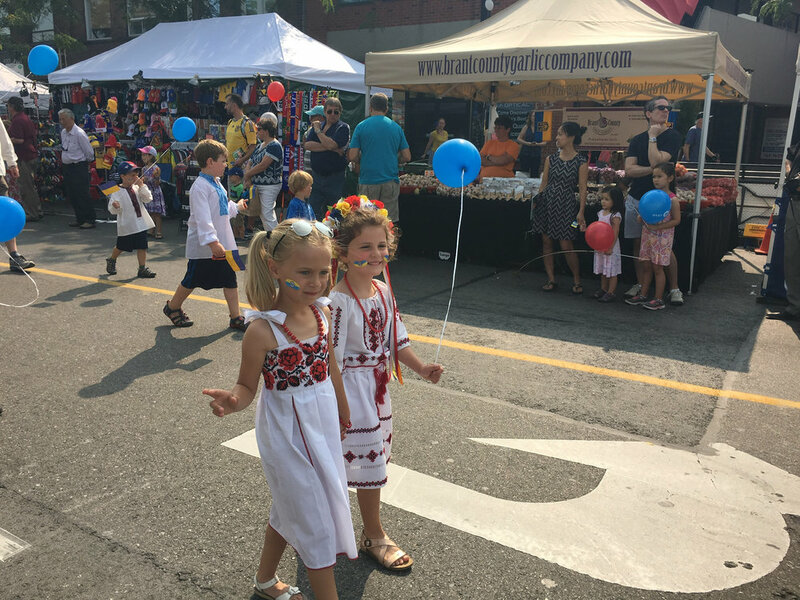 The Festival's organizers describe its vision "Is to offer the largest celebration of Ukrainian spirit in the world – showcasing the best of Ukrainian arts and culture and thereby strengthening the multicultural fabric of Canada. The Festival takes pride in turning its spotlight on contemporary professional and amateur artists and performers from North America and Ukraine, and in celebration of Toronto’s diversity, invites a local performing group representing another culture to bring its talents to the main stage each year. Throughout its history, the Festival has hosted prime ministers and other politicians from all levels of government." And we are so lucky that it all happens in our backyard. In the last 21 years, I don't think I ever missed one. In previous years I participated in the Festival at a different capacity. 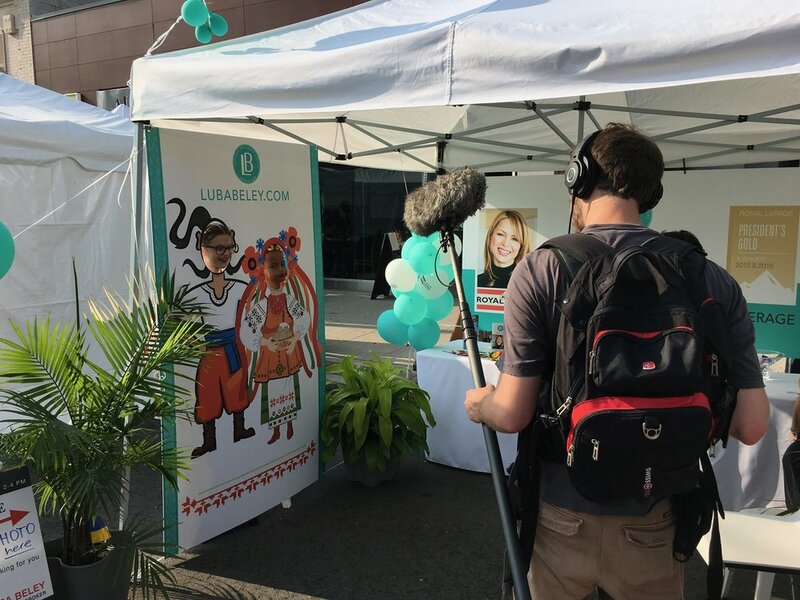 This year I decided to showcase my real estate business by hosting an information booth. 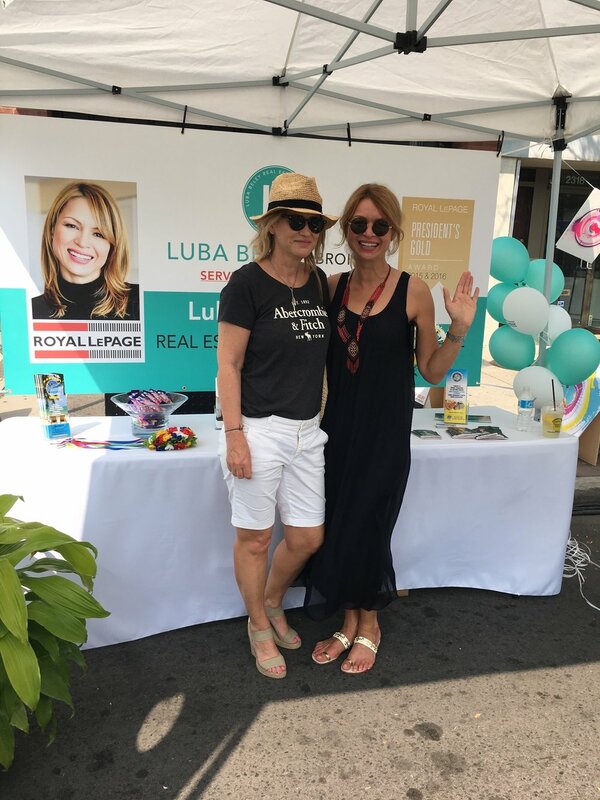 It provided me with an excellent opportunity to reconnect with so many of my fellow Ukrainians, as well as meeting people from the Bloor West Village neighbourhood, neighbourhoods across the GTA and visitors from around the world. 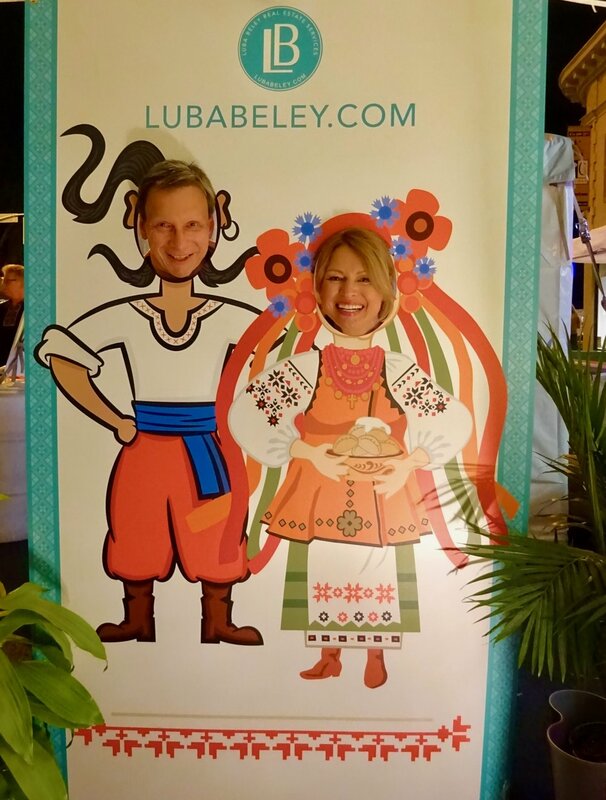 Visitors to my booth had an opportunity to be photographed in traditional Ukrainian costume, and enter into a draw for a chance to WIN a $200.00 pre-paid Visa card. I would like to thank each end every one of you who stopped by to say hi and greeted me so ever warmly. This was great fun, and once again I truly appreciate your continued loyalty and support. For more information, please visit the 2017 Toronto Ukrainian Festival website here. After an overheated performance for much of 2016 and 2017 which saw most homes selling at sky high prices, often well over list, and with multiple offers, the Greater Toronto Area real estate market is returning to balance as the summer closes. Don’t believe what’s in the newspapers and media reports that Toronto’s real estate market is reaching a point where the bubble is going to burst. It’s not supported by the facts. The Toronto Real Estate Board reports in its latest figures, for the month of August, that sales of all homes recorded on MLS across the GTA were 6,357, down 34.8% year on year and that the average price only increased 3.0% to $732,292. However, averages don’t tell the whole story, and there are pockets of real strength, particularly condominiums, where although sales were down 28.0% (mostly due to lack of supply), prices averaged 21.4% higher across the Greater Toronto Area. Economic indicators are also pointing to fundamental strength, with real growth in the economy up 4.5% in the second quarter of 2017 and employment growth in the Greater Toronto Area of 1.3% during the month of July. The impact of the recent (generally expected) Bank of Canada interest rate increases have yet to play out, but it's possible that they will not have a significant lasting impact on buyer sentiment, as the extreme “heat” that was being felt in the market has cooled somewhat as it returns to a more healthy balance of supply and demand. Also, prior to the introduction of the Ontario Government’s Foreign Buyers tax last April, housing inventories in the Greater Toronto Area were running at some of their lowest levels in history, at or below 1 month’s supply, and this was reflected in the lofty month on month price increases experienced in what was truly a “sellers” market. With the introduction of the new tax measures in April, active listings have begun to rise while sales have tapered off. As a result, supply of homes has increased to a more healthy balance of 2.6 month’s supply in August, although down slightly from 3.1 month’s supply in July. 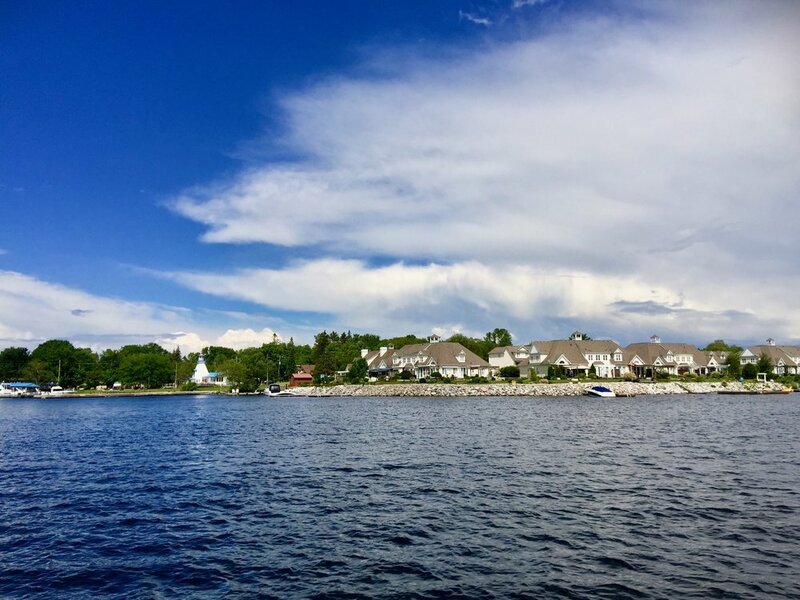 Typically though, during the summer months many sellers as well as purchasers are on the sidelines and activity wanes, while people are on vacation and out enjoying the good weather. With summer drawing to a close, there is some optimism building, now the Greater Toronto Area real estate market has returned to a more healthy balance, that activity will pick up once again in the Autumn months. When compared with other major Canadian cities, the Greater Toronto Area still has the lowest monthly inventory of homes, well below Montreal (7.8 months), Edmonton (5.5 months) and Calgary (4.1 months), and slightly lower than Vancouver (2.9 months), meaning the Greater Toronto Area is still the strongest housing market in Canada. Celebrating Canada 150 with my clients & friends! 2017 marks the 150th year since the Canadian Confederation, and the year-long birthday bash is in full swing. July 1 is almost upon us and we all have our own Canadian story to tell. Last weekend I drove up North for an hour and a half to experience a small part of this beautiful country. What an amazing landscape with preserved lands and waters that are so easily accessible. What a great country and its people are equally amazing! This year I am celebrating 9 years in the real estate industry. I cannot believe how fast the time has gone by and it's been the most amazing ride of my life. My network of exceptional people keeps getting bigger and better and I am very grateful for it every day. Shortly after arriving in Canada from Ukraine in 1994, to start a new life here in Toronto, I began my professional journey as an on-air TV host and reporter for OMNI TV's "Svitohliad". A lot has changed since those TV days. After my on-air experience, I began my sales career with BMW, and later with Porsche, as a Sales and Leasing Executive. I also worked in a Marketing Management capacity prior to launching my real estate business. I've learned so much about our city and our people through these valuable life & sales experiences. Every person and every home I work with allows me not only a chance to grow and learn but to be very creative with each real estate transaction - setting new record prices for an area, street or condo complex. I work 24/7/365, helping my clients achieve their goals and dreams, and I am loving every moment of it! Take a look at what some of my clients have to say in my Client Testimonials here. This is my opportunity to give back to my community and to my people. I'm so blessed for having so many exceptional individuals in my network who have helped me along the way and taught me many valuable life lessons. As a result, I approach every person and every situation from the point of love, compassion & kindness. These are not just fancy words that I use to make things sound good, these are my standards that I choose to live by. I look forward to hearing from you and am grateful for your continued loyalty. In preparation for Canada’s 150th birthday celebration, as my own token of Love, is my new website LubaBeley.com. It's personal, just like the real estate business is to me. I’m trusting that the site I’ve created will give people the tools and knowledge to position themselves comfortably in the driver’s seat of their real estate transaction. You might find your own statement, video, photo or a quote there, so please check it out and provide your valuable feedback. I've made so many amazing deals but not many people know about them. Now all that great information is in one happy place. Please share LubaBeley.com with your trusted network, as you already know I will get the job done right every time. Whether you’re moving across town, across Canada, or across the world, I am here, working for you, my friends.